As the drinking water supplier for 400,000 customers, the Joint Water Commission Treatment Plant out of Washington County, OR was spending too much time reacting to problems instead of preventing them. Read on to learn how JWC streamlined its processes and is utilizing Cartegraph's water asset management software to be more proactive. Like many local government organizations, the Joint Water Commission (JWC) has always strove to make the most of its resources. The treatment plant’s 17-person team manages thousands of assets including motors, pumps, electrical equipment, filters, media, piping, HVAC units, automobiles, and facilities. While the water utility software system worked, Wilson and his team suspected they were spending too much time on paperwork—time they thought could be better spent on preventative maintenance and other operations management tasks. In 2010, they decided it was time for a change. JWC began vetting public works asset management platforms. 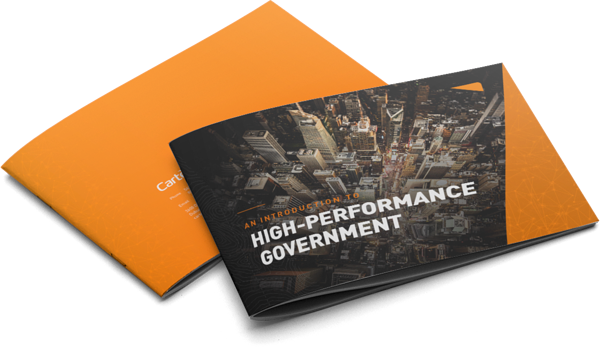 Wilson and his team decided on Cartegraph for its asset management flexibility and its ability to meet the needs of multiple local government departments. "Team members in the field can access anything they need through their mobile devices and tablets." JWC moved each and every asset onto Cartegraph, along with details regarding task creation and completion, projects in progress, and problem resolution. Wilson and his team have also made sure that each asset entry has a complete record that includes work completed, pending issues, and relevant instructional manuals. Wilson and his team implemented new guidelines and processes to bring greater visibility to the department’s day-to-day operations. He relies on Cartegraph’s analytics to uncover opportunities for improved efficiencies. “Instead of sending updates over email, we’re generating automatic reports,” says Wilson. Pattern recognition. Through Cartegraph’s water utility management tools, Wilson and his team can backtrack through trends, access documentation about work orders, and track the total investment of time on tasks. As a result, team members are better prioritizing their time and efforts. Strategic preventative maintenance. Between 2014 and 2015, the team spent 2,697 hours on proactive tasks, compared to just 81 hours on reactive maintenance. Wilson and his team are continuing to look for more opportunities to prevent problems before they strike. Automation. Cartegraph has eliminated multiple repetitive tasks from the department. For instance, teams are setting up recurring work orders to ensure consistent maintenance of systems. JWC can now prevent problems before they have a chance to happen. “Everyone can access it, communicate with each other, and keep things running smoothly." Real-time information. JWC employees can retrieve the information they need, from any device and any location. In the event of an unplanned outage, team members in the field use Cartegraph to communicate with one another in real time. Data-driven decisions. Wilson relies on Cartegraph for efficiency reporting in terms of time saved and costs reduced. JWC employees track total expenditures, along with reductions in those expenditures over time. Wilson runs several reports regularly, including task views over multiple periods of time, failure rates, and maintenance tasks completed. Happier teams. With Cartegraph, Wilson can better monitor his team’s workflows. The public works software helps JWC team members ensure that responsibilities aren’t overloading one another. Ready to become more effective and efficient like Washington County?